Want to see the New York Harbor up close? 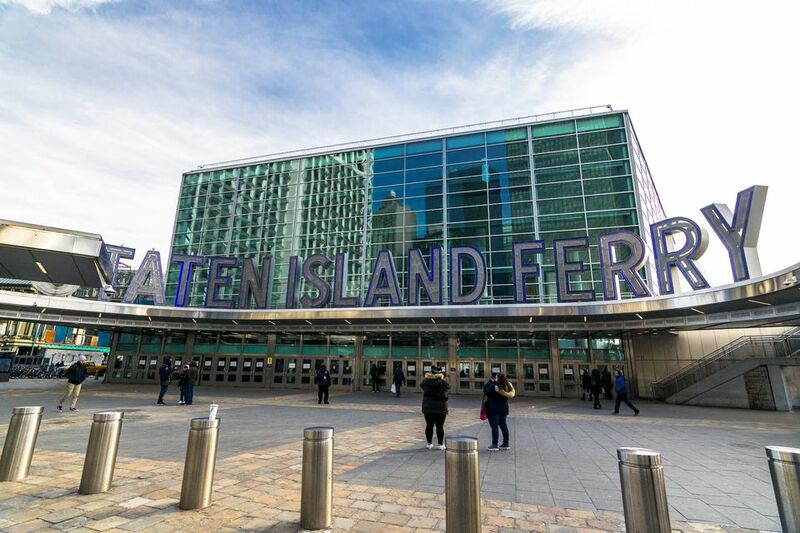 The Staten Island Ferry serves commuters traveling between Staten Island and lower Manhattan, but visitors looking to see New York City's working waterfront (and the Statue of Liberty) will enjoy the free ride across the New York Harbor. The Staten Island Ferry is an attraction fit for young and old, New York first-timers, and those who have lived here for years—but it's a real treat for those on a budget. The ferry, which runs frequently enough that if you just show up, one is probably not far off, offers a wonderful view of the harbor. Among the sights to take in from either side of the vessel are Governors Island, the Statue of Liberty, the Brooklyn Bridge, lower Manhattan and Wall Street's skyscrapers, Ellis Island, and the Verrazano-Narrows Bridge connecting Staten Island to Brooklyn. Hop aboard—or rather, push on board—through the cattle-car-feeling entranceway, and take a seat. If you want a bench seat along the boat's border to get a good overlook of the harbor, grab one fast because they fill up quickly. Take the ride back and forth if you wish. Each leg is approximately 25 minutes. Switch sides so you can take in all views. As it pulls in to Manhattan, walk up to the front of the boat with your camera for a great view you won't want to miss. Ferries run every 15 to 20 minutes during peak times and every 30 to 60 minutes during less popular times. No cars are allowed on the ferry. Bicycles are permitted. Free Wi-Fi is available in the terminals and on the ferry. Food concessions are on every ferry. Beer, but not hard liquor, is sold on board. The ferry is designed for commuters, so although you can enjoy the harbor, the breeze, and a view of the Statue of Liberty, you won't get a great photo-op or nearly as close to the statue as you do on some of the other sightseeing cruises designed for tourists and visitors. Expect a wide range of users—from commuters and tourists to the occasional homeless person taking advantage of having access to a bathroom. Even on a warm day, a jacket is recommended. It is windy on the ride, and even if you're not sitting outside taking in the view, the interior of the ferry can be breezy and cool. The Richmond County Bank Ballpark at St. George, home of the minor league Staten Island Yankees, is within walking distance of the Staten Island port of the ferry. If you're waiting in Manhattan, next door is Battery Park (complete with a distant view of the Statue of Liberty), which is a nice place to wait if you have time before your ferry arrives. From Battery Park, you can see the ferry coming from a distance and you will have plenty of time to walk back from the park. The ferry operates 24 hours a day every day of the week. Through most of the day (the only exception is between midnight and 6 a.m.), you will not have to wait more than half an hour for the next departure. During weekday rush hours, the ferry will be more frequent and crowded. On weekdays and weekends, boats leave and arrive on the half hour. Each leg of the ferry takes approximately 25 minutes. In Manhattan: J/Z to Broad Street; 1 to South Ferry; 4/5 to Bowling Green. In Staten Island: Staten Island Railway to St. George.